Winner of the Tony Hillerman Fiction Award "A crime novel that transcends the genre—a twisting, high-stakes story with characters so real and so recognizably human, that it breaks your heart a little. Brilliant." -Shari Lapena, author of the New York Times bestseller The Couple Next Door Ex-FBI agent Brigid Quinn, now happily settled in Tucson, doesn’t visit her family in Florida much. But her former partner on the force, Laura Coleman—a woman whose life she has saved and who has saved her life in turn—is living there now. So when Laura calls about a case that is not going well, Brigid doesn’t hesitate to get on a plane. On leave from the Bureau, Laura has been volunteering for a legal group trying to prove the innocence of a man who is on death row for killing his family. 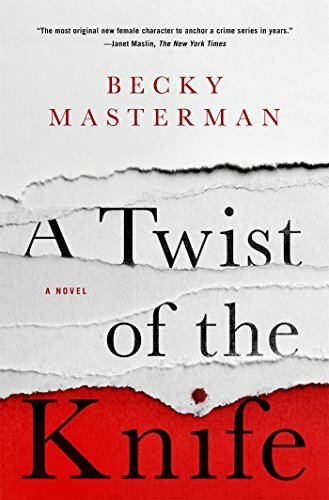 Laura is firmly convinced that he didn’t do it, while Brigid isn’t so sure—but the date for his execution is coming up so quickly that they’ll have to act fast to find any evidence that may absolve him before it’s too late… A Twist of the Knife, Edgar Award and CWA Gold Dagger finalist Becky Masterman’s third Brigid Quinn novel, is the masterful follow-up to Fear the Darkness and Rage Against the Dying.